Way to go Father Schneider! To the biggest BTS cheerleader there is! Way to go! You and your generous heart rock! Way to go Dylan! Love the fro! Congrats on meeting your goal. You both are doing wonderful things for families. I am so excited for my friend Eva!! Can’t wait to see how awesome you look tomorrow!! Glad to see you supporting such a great cause! Brent & Braxton - Thanks for caring and sharing your love and care for this incredible cause! Thank you for supporting a great cause!! Great job boys! Great cause too! Way to go, Father Schneider! 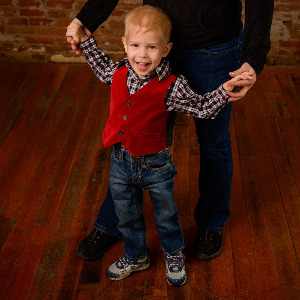 Ben, you’re an amazing little guy with a big heart! So proud of you! What an awesome thing to do! We're so proud of you! Way to go Dylan! Such a great cause! This is so amazing. Dylan you are an amazing fella. In honor of our friend Mason & in memory of Sky. Thanks for doing this year over year! I'm in...every single year this is needed! For my nephew, Christian, currently fighting Leukemia. Thanks, Brian! You’re my hero Aaron ! Ben...you are SOOO awesome. You should be proud of what you are doing! So proud to know you Brian, thanks for your unselfish devotion to these kids and their families. Good luck meeting your goal! Way to go Dylan!! Awesome of you to help these kids!!!!! Proud of you guys for doing such a great thing!!! Do you have any treats for me? I look forward to seeing you without your head fur. All of your family is so proud of you for supporting your brother and friend. I’m hungry. We should eat some m&m’s together sometime soon! We are so proud of you Ben! Love you tons!! Woo Hoo You guys rock!! You are so incredible for this. I am not surprised at all. You’ve been moving mountains since the day you were born. Grandpa is so proud of what your doing. I love you!! Way to go Eva! Enjoy going bald, it is fun and beautiful! Way to go Dylan! You are an awesome kid! I love you so much....how much do you think I could get for my hair?????????? Eva you are pure joy...Mom is so proud of you!!!! Way to go Eva and thanks for raising money for children with cancer. And for your 2nd friend, my dear. We are so proud of you Eva! Love you so much! Proud of my baby sister!!!! I haven’t seen that chin since your HS days. ;) Back when dress code didn’t allow a beard. Thank you for keeping Cully's memory alive! Ali was part of this after she was diagnosed with cancer when she was in High School. She got to shave Kris bald. Thanks for supporting this cause. We love you Fr. Schneider! Nice 'dos Brent & Braxton! You might want to look into a stocking cap. If you haven't noticed, its been a bit chilly 'round these parts. Way to go, Dylan! We are so proud of you! I am proud of this guy! So loving and giving! you are awesome Dylan! what a fantastic thing to do. Way to go Dylan! This is a great cause! Way to go Dylan! Great cause and something to be proud of! I'm proud of you Dylan!! This is a very good cause. Ben we are so proud of you..
We are so proud of you Ben! Ben- this is so cool! You are so thoughtful! Welcome, Friend! I can't wait to see your husband bald, and without leg hair! This one's for you, Aaron!